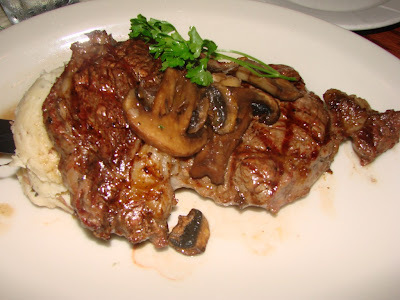 By now I think we have all seen our fair share of turkey so today’s photo is a nice Rib Eye steak from Sam Snead’s Tavern & Restaurant. It is oak grilled certified Angus Beef. Sam Snead’s is located on the Navy-Marine golf course in Moanalua (just minutes away from the airport) and is open to the public. It proudly honors golf legend Sam Snead and his historical achievements. I hope everybody had a wonderful Thanksgiving weekend. For me I got to catch up on some movies as well as watch too much football and eat too much food but isn’t that what the holidays are for. 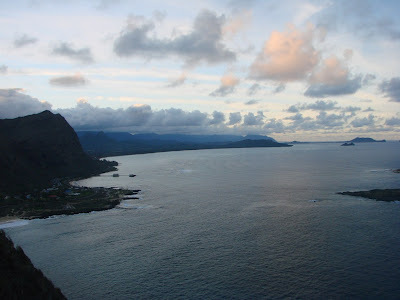 Our Monday photo is a nice relaxing view from Makapu’u Point. I especially like the formation and color of the clouds in this shot. I’d like to wish everybody a very Happy Thanksgiving. I’m thankful for all my wonderful family and friends and of course the ability to share photos on the Global Hawaii Blog. 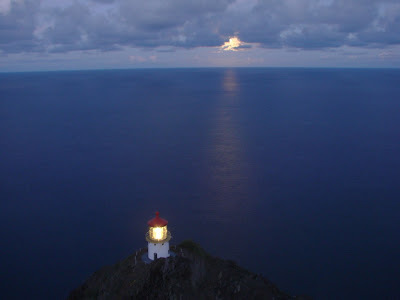 Today’s photo is the full moon and Makapu’u Lighthouse all in one photo taken on Bob’s Moonwalk. I especially like the reflection of the moonlight in the water.